People talk furtively about the grand old sherry-style Macallans of yesteryear, and that the distillery doesn’t quite live up to the classic era anymore. Alas, most people will never get to compare old and new without parting with a lot of cash. 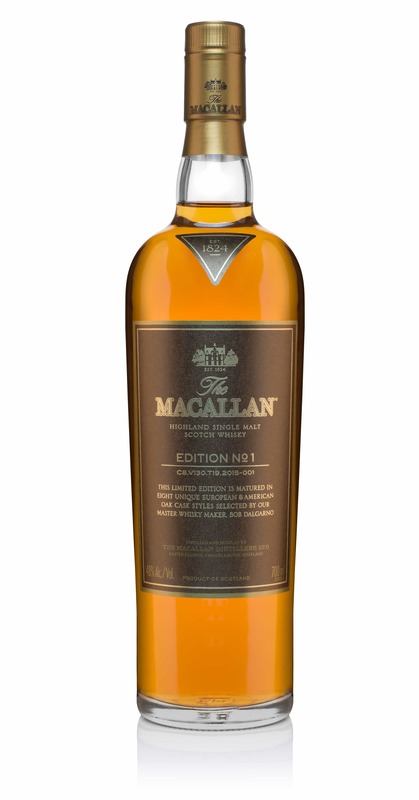 I’ve talked about the core range of Macallan whiskies a few times on Malt, and I’ve found their whiskies to be largely agreeable these days; sometimes a little uninspiring, sometimes pretty good. But certainly not quite the stuff of legend. These days, the grand old Macallans cost an absolute fortune on auction sites, and even what appear quite ordinary Macallans are highly sought after. This is a desirable brand. Though almost two-centuries old, recent years have seen something of a premiumisation of Macallans, with its Fine & Rare collection kick-starting a drive to appeal to the wealthy. 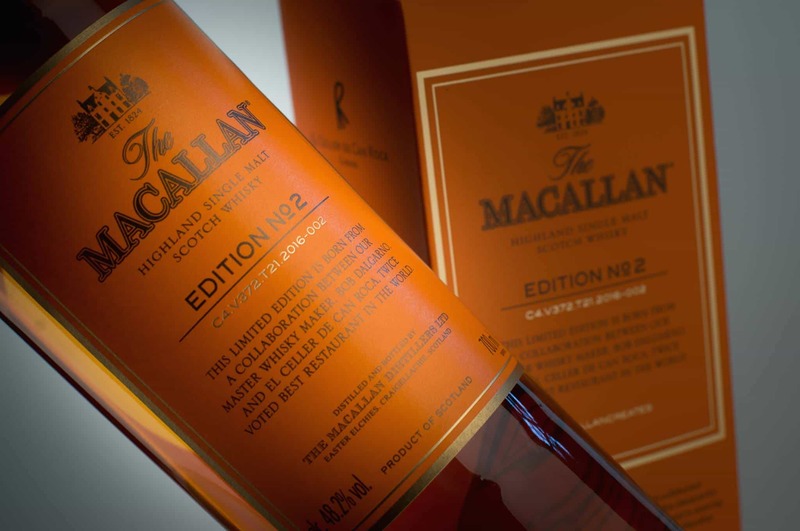 In 2007, a bottle of 1926 The Macallan reached $54,000 at a Christie’s auction. Other bottles now sell for even more stupid prices. The first-fill casks consisted of: Tevasa Butts; Toneleria Hudo Butts; Vasyma Puncheons; J&M Martin Butts; Gonzalez Byass Butts; and Tevasa Puncheons. The second-fill casks were: sherry hogsheads and sherry butts. The only casks that used American White Oak were the Vasyma Puncheons, whereas the rest used European Oak. I like this amount of detail – indeed, it would be good to have known some of the age of the individual whiskies used in the vatting, but at least we’re getting some more information on the vatting of whiskies that don’t have an age statement. It costs $115 or thereabouts – but it’s not yet released in the UK. You can pick them up at online whisky auctions for less than £100. On the nose: gorgeous. I almost want to abandon the review right here and just cuddle my glass sniffing this all night. At first it seems quite simple, in the classic aromas – textbook European oak dried fruits, executed perfectly – but give it a little while longer and even more starts to show through. Vanilla, golden syrup drizzled over a sponge cake. Apricots. Creme brûlée. Strawberry jam. Bird’s custard. Quite waxy, too. In the mouth: quite possibly the nicest whisky mouth-feel I’ve had in a year or so. Gorgeous, plummy, viscous texture, delivering a wonderful sweet-savoury profile. Those dried fruits: raisins, figs, with damson jam. Mince pies. Walnuts. Burnt toast, burnt sugar. There’s just a fraction too much woodiness playing through here: the black pepper notes just don’t quite complete it. A touch – nothing more, nothing less, of Worcestershire Sauce, which feels like the wood prickle not quite marrying with the rest of the heady fruit profile. Though the dried fruits endure, there’s almost a touch of dark ale on the finish. Complex stuff. Brilliant to find a No Age Statement whisky that genuinely excites me. Good to see a bold strength and that glorious texture. And I like that they’re trying to give more cask information. Is it worth the price? I think so. 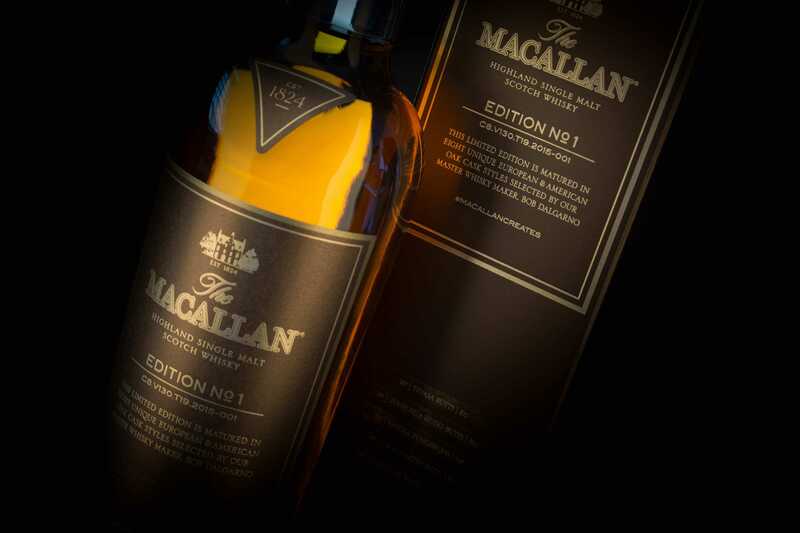 The Macallan Edition No. 1 is a big step up from the standard 1824 range. And it’s finally a Macallan that I can love.